Some IT departments are under governmental and/or industry regulations that require them to account for all system downtime. Other IT departments may be mandated by their service-level agreements (SLAs) to provide documentation for any server restarts or shutdowns. 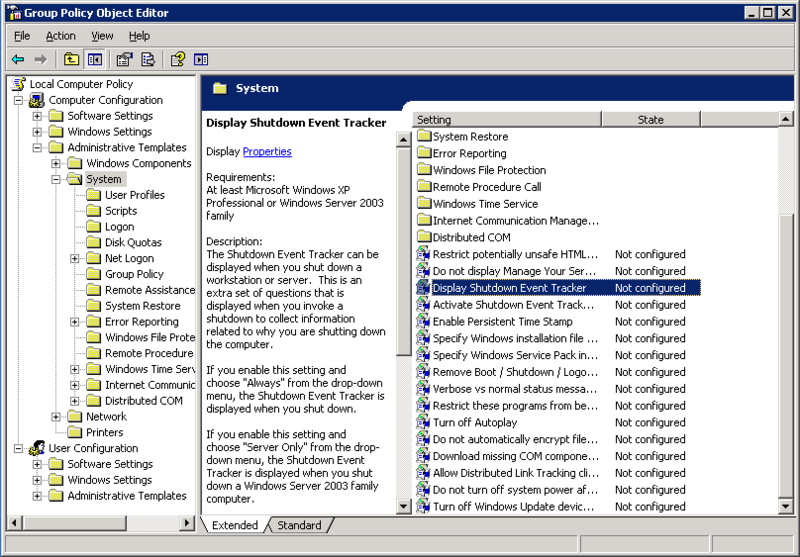 In Microsoft Windows Server 2003 R2, we have the Shutdown Event Tracker to assist us in not only the previously mentioned scenarios, but also for any shutdown-related troubleshooting we may be called to undertake. 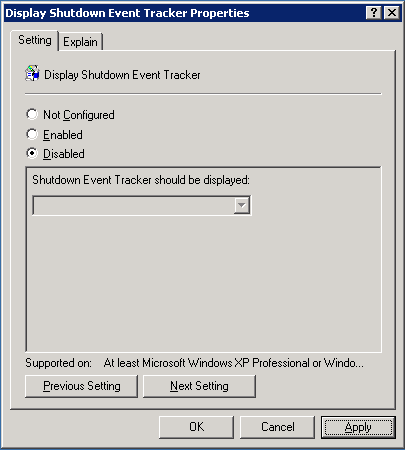 Click "Start → Run" in the Run dialog box pops up, enter "gpedit.msc", open the Group Policy window, select the "Computer Configuration → Administrative Templates → System", double-click the "Display Shutdown Event Tracker" in the pop-up window select "Disabled", and finally click "Apply → OK" button.